Wandered through the streets around Brick Lane again this Saturday with participants from the City Academy street photography class and caught this enigmatic image of a tourist photographing the Charlie Burns mural. 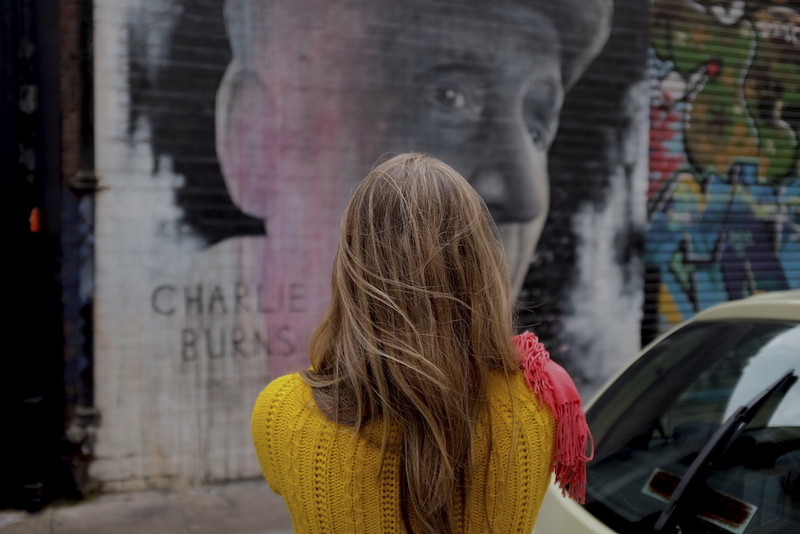 Charlie Burns, as I later discovered is a long time resident of Shoreditch, a well-respected gentleman, who had lived here since 1915, and had seen the gradual changes over the years. He established a paper mill business and later ran a boxing club locally. Charlie passed away in 2012, aged 96.